I don’t know about you but I am a sucker for anything sweet. As long as its packed full of white gold (sugar that is) I will have no problem devouring it. But then I made this black plum tart. And now I have decided that sweets can lean towards the sour side also and still be just as damn good. This gorgeous looking tart is easy to make and even easier to eat. 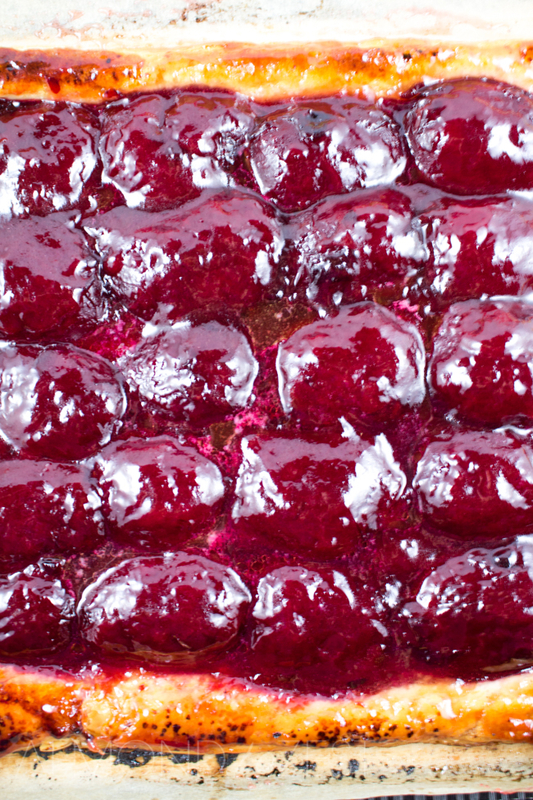 Sharp and tart, the black plums sit in rows on a bed on puff pastry. 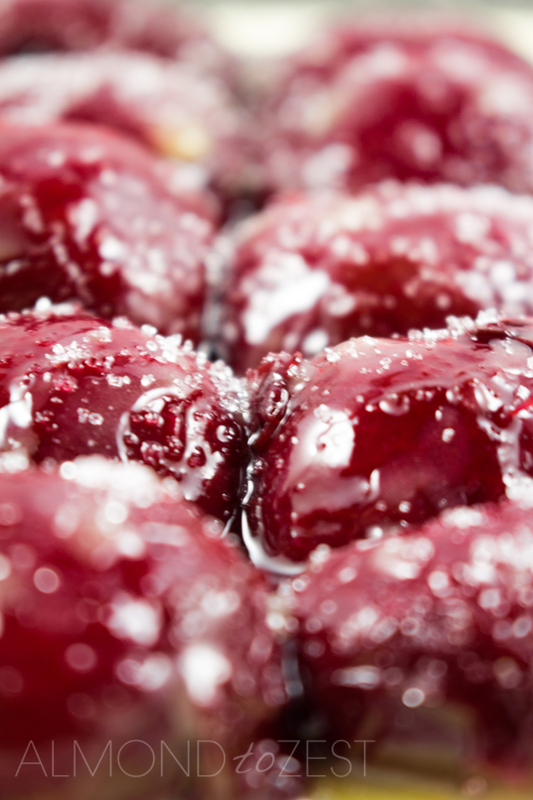 As the cooking process proceeds the plums juices flow out, surrounding the plums with a deep red syrup. 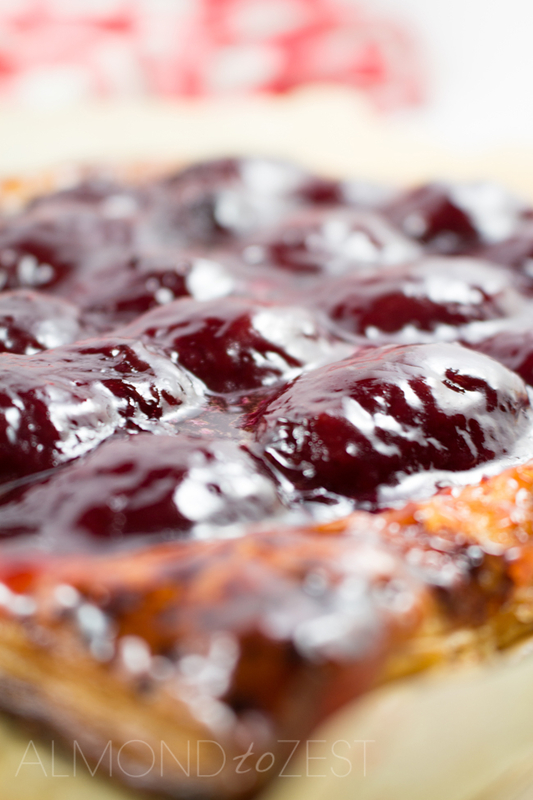 I have used canned plums for this tart so the flesh is super soft and soaked with syrupy liquid, which sweetens the tartness of the plums skins. The puff pastry becomes light and flaky as it rises to the skies. Once tanned to a golden complexion it is ready to remove from the oven. Finished of with a slathering of warm, sweet plum jam. Quickly cut into quarters and scoop some vanilla ice cream on top while it’s still hot. The best bit is watching the ice cream melt into the plums syrup. How delish does that look? Pull puff pastry out of freezer to defrost. Preheat the oven to 430 (220C). Prepare plums. Drain liquid from can. Cut plums in half and remove the stone. Spray cookie tray with cooking oil. Place parchment paper on cookie tray. Place puff pastry sheet on top of parchment paper. Melt butter and spread over borders first then over rest of the tart. Lightly sprinkle sugar over tart. Place in oven for 15-20 min. Remove from oven. 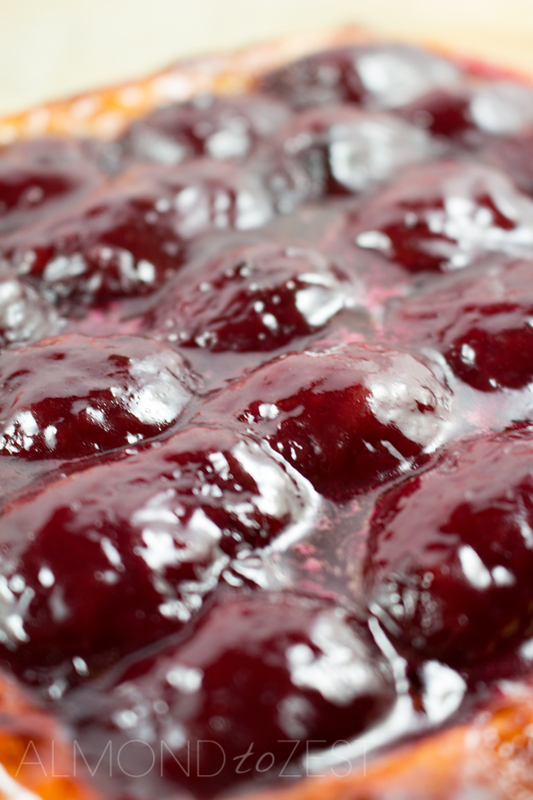 Warm jam in microwave then drizzle over whole tart. Cut in quarters and serve with a scoop of vanilla ice cream.